Did Jesus Give False Prophecy? 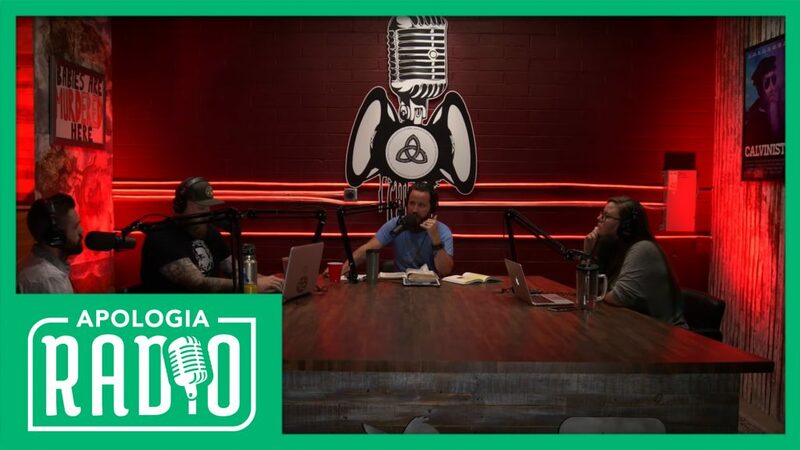 Listen, watch, and Share the 1st live broadcast of Apologia Radio on YouTube! We are very excited to present this first live broadcast of one of the most popular Christian radio programs and podcasts. Apologia Radio has found its spot in the top 10 on ITunes a number of times and has over 1-million downloads a year. Now, we introduce it to our friends on YouTube. It will be live every Thursday on YouTube. On this episode we examine a very important question: Did Jesus give false prophecy. Recently, a soon-to-be Mormon missionary attacked the character of Jesus and the character of the Scriptures by alleging that Jesus Christ gave false prophecy in Matthew 24. This is a common fallacious attack on Scripture that is also used by Atheists and Agnostics. Jeff and the crew open the Scriptures and demonstrate with solid exegesis (and historical examination) that not only is this not a false prophecy but that it is prophecy that demonstrates the divine nature of the Lord Jesus. You don’t want to miss this! Like. Share. Comment. Let the world know. Also, you can partner with Apologia as we bring the Gospel around the world by signing up for All Access at http://apologiastudios.com. When you sign up you get every TV show, After Show, and Apologia Academy. Sign up today and be a partner in ministry with Pastor Jeff and Apologia Church.